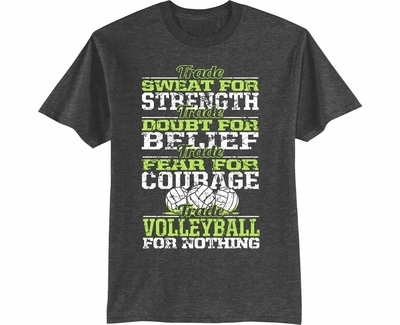 TRADE VOLLEYBALL FOR NOTHING Dark Heather Grey Volleyball Tee Shirt from Utopia Sport features a bright and colorful volleyball graphic image with the phrase Trade Sweat For Strength, Trade Doubt For Belief, Trade Fear For Courage, Trade Volleyball For Nothing. This volleyball shirt is printed with white and lime green ink. A bold & fun Volleyball Shirt which is sure to be a hit with players of all ages. 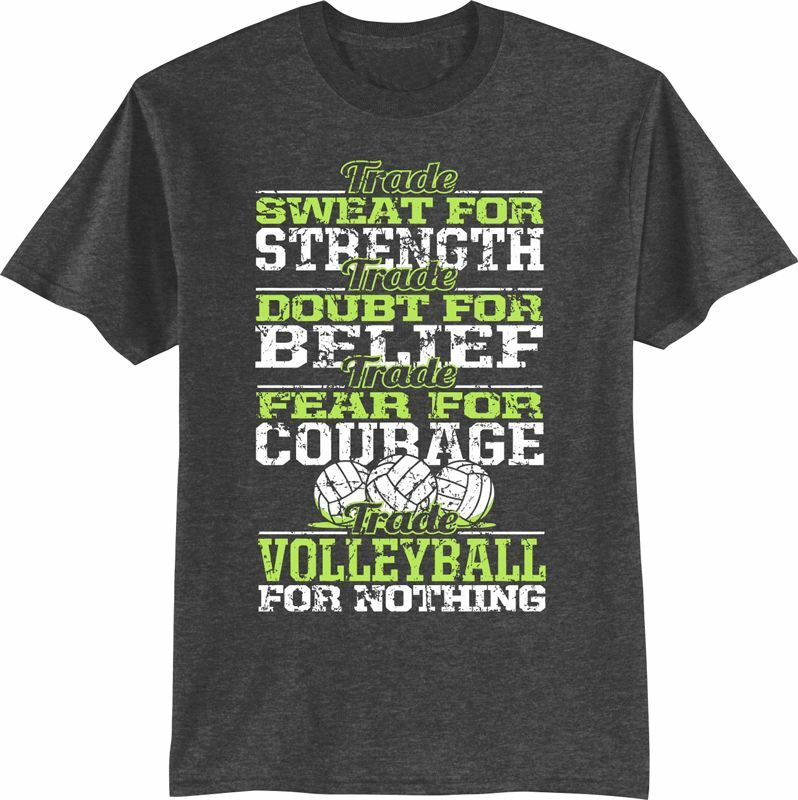 Trade Volleyball For Nothing Short Sleeve Shirt is a 50% Cotton / 50% Polyester blend.